To get a clearer picture of how visitors interact with your website, you should filter your own visits from the data, along with those of any consultants or developers working on the site. After all, if you see a sudden spike in traffic, you want to be able to pinpoint its source and not be thrown off track by site-keeping issues. Also, since most in-house visits are direct, your ratio of direct to search visits will be skewed if you don’t filter your own visits out of the data. Good decisions rely on good data, and good web analytics data require filters. Here’s how to filter your visits in Google Analytics. When you want to grant access to your Google Analytics data to a consultant, the best approach is to add them as a user to your account. In this way, you avoid sharing your account’s login information while retaining control over access. And it’s easy to do! Here’s how. If you haven’t set up Goals in Google Analytics, then your chances of achieving success on the web are reduced by 80%. OK, I confess I just made up that number. As far as I know, there have been no scientific studies comparing sites with and without Goal tracking, and of course it would be difficult to screen for all the other web marketing variables. So really the failure rate of sites that don’t track Goals could be closer to 100%. Driving targeted traffic to your web site is one of the most important goals of web marketing. But what if you are getting lots of traffic and not seeing much business from it? How do you know if your content is connecting? 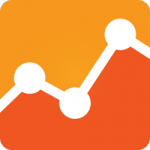 One place to look is the bounce rate in Google Analytics. In the screenshot below – taken of a Landing Pages report – you’ll see the bounce rate listed in the far right column. The box at the top shows the rate for the site as a whole, the rates in the table are for each of the pages listed. So what does it mean? Of all the visitors who first entered the site on the home page (signified by /), 57.88% only visited that one page and then left the site entirely.